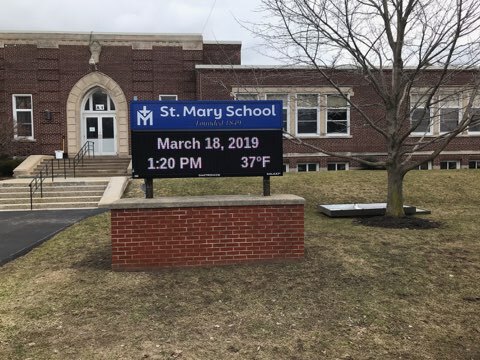 Have you seen our wonderful new St. Mary School sign? 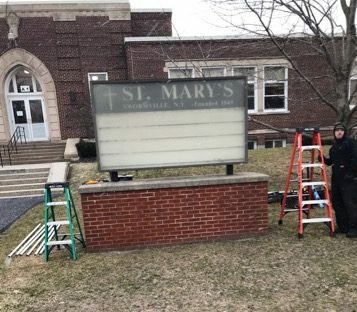 School family donors who wish to remain anonymous came together with the desire to update our 40+ year old sign, and it is a beautiful addition to our campus! 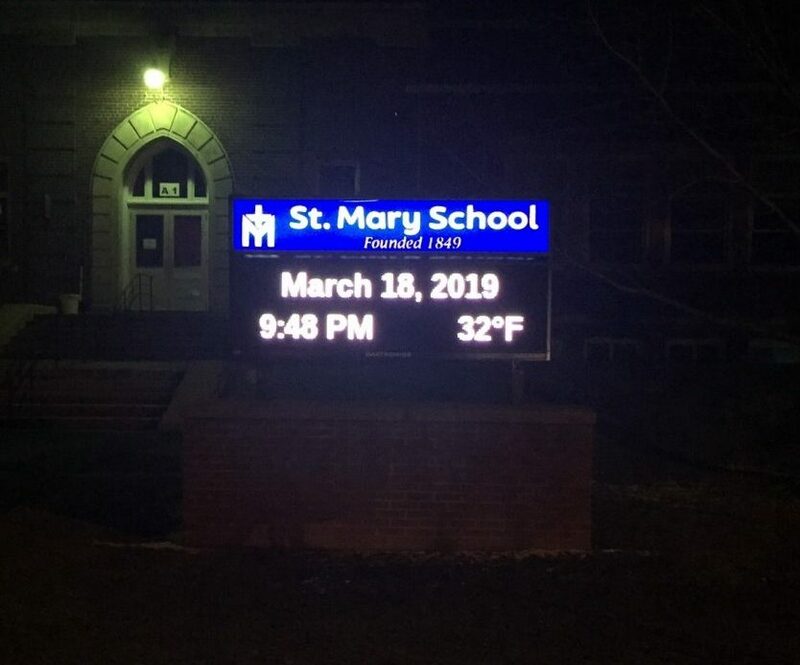 We now have the capacity to show multiple messages, include pictures, and make changes from within the building. What a gift! Thank you donors for your generous gift!